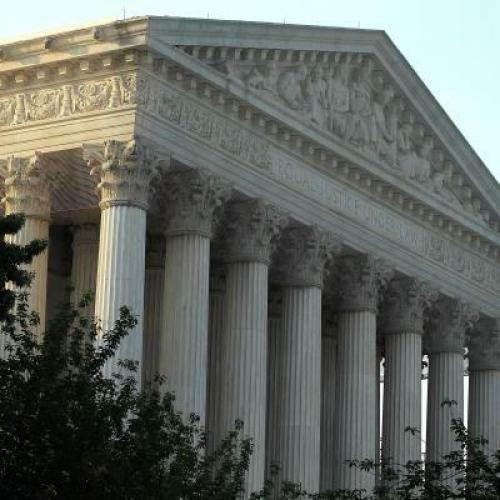 Do you care how the Supreme Court rules on health care reform this week? I don’t mean in the political sense. I mean in the personal sense—because the law’s fate is a very personal matter for many millions of Americans. They’re the Americans who have diabetes and Crohn’s disease, cancer and hay fever. They’re the Americans who don’t have access to health benefits and the Americans who have access to health benefits but can’t afford to pay for them. There are a lot of these people, more perhaps than you realize—at least tens of millions and perhaps more than a hundred million, depending on how you want to define the categories. If by now you’re thinking, gee, maybe I could end up becoming one of those people, you’re right. Death and taxes aren’t the only certain things in life. Accident, illness, and injury are too. They’ve plunged the lives of plenty of Americans, even those who thought they had good insurance, into financial and physical chaos. The Affordable Care Act won’t help all of these people. But it will help an awful lot of them. In fact, it's already starting to make a difference. On Thursday, the Obama Administration announced that 12 million Americans would be getting rebates from their insurance companies. The reason for the rebates was a regulation in the Affordable Care Act. Under the law, insurance companies must spend at least 80 percent of their premiums on actual patient care. (For some insurers, it's 85 percent.) Insurers that fail to meet that standard have to give some premium money back to their subscribers, in the form of rebate checks. The rebates were not huge: The average was $151, although some consumers got rebates approaching $1000. But it’s yet another reminder that, by and large, the Affordable Care Act seems to be working. More than 5 million seniors have saved hundreds of dollars on their prescription drugs. As many as 6 million young adults now have comprehensive insurance coverage because, under the law, Americans under the age of 26 without access to coverage can enroll in their parents’ plans. Not everything in the law has gone so well. Special, bare-bones insurance plans for people with pre-existing conditions—a temporary measure, until the full reforms kick in—haven’t attracted as many people as projected, although those who have the coverage are grateful for it. But nor have any of the awful predictions of critics come to pass. Opponents of the law frequently warned that the health industry would struggle to cope with changes in the way Medicare pays for services. Instead, the industry seems to be adapting, in ways that will actually make the health care system more efficient. In Massachusetts, the one state that’s tried a version of these reforms, the results are even more encouraging. It's important to recognize the distinctions between great and good and bad and awful. But a decision to strike down even part of the law would have grave consequences—for the court’s legitimacy and, perhaps, the norms that make our constitutional system function. (I’ve written about the former many times. On the latter, see this excellent James Fallows piece.) It'd also have grave consequences for the people whose employment, financial, or medical status renders them vulnerable—a group that may someday include you, if it doesn't already.